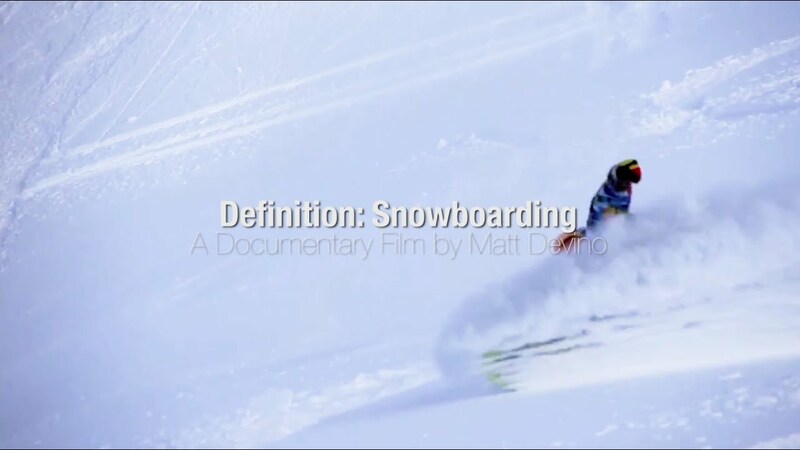 Definition: Snowboarding by Matthew Devino (teaser 2) ← shralp! We plan to create a film with the support of core snowboarding that will welcome the general public into our lives, and to share the complete picture of riding rather that just the homogenized competitive X Games style of riding most people associate with snowboarding. Ultimately, we want to inspire new people to go snowboarding for the first time, and reinvigorate current riders to get out there and enjoy their boards more often and continue to live the dream.